Candy Royalle was a spoken word poet par excellence, presenting her words and ideas with dynamism and passion. In a short 37 years of life she made a profound impact on readers and audiences. Her death unleashed sorrow and love. Candy's anticipation of the release of this book makes all of us regretful that it didn't come earlier so that she could enjoy her arrival into a traditional publishing form which was sure to increase her following. 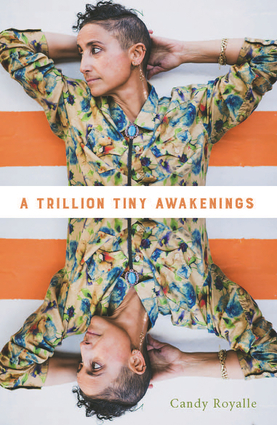 A trillion tiny awakenings is uncompromisingly direct in its language and set of interests about the world and the politics that impact every aspect of our lives. These poems also carry love. Candy Royalle invokes tenderness and care in this startling new book. Candy Royalle was one of Australia's most prominent performing writers. She was a multi-award-winning storyteller, activist, educator, singer and vulnerability advocate.